Charge Without a Cable? Hell Yeah. It's like magic, only it's real. Charging Tech Samsung Charging iPhone Charging Qualcomm Compatible? "I like being tied down." Said no one, ever. Cut the cord with our QI Wireless Charger, enabled with Qualcomm® Quick Charge™ capability. Don't hold the wall. Wireless design means untethered charging for maximum usability while you power up. 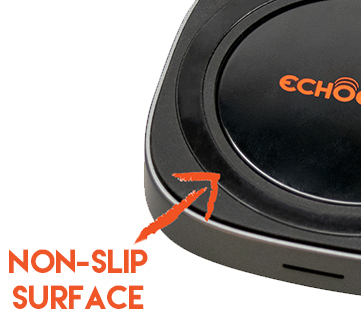 Hold on tight: Non-skid, rubberized surface ensures your device stays in the "sweet spot" for maximum charging power. Pick up the pace! 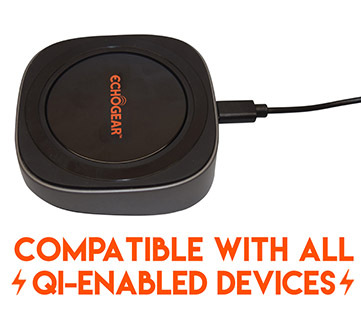 Works with Qualcomm® Quick Charge™ 3.0 chargers. Supports up to 15W on Samsung devices and 7.5W on iPhones. Wanna sound like a pro? (Of course you do.) "QI" is pronounced "CHEE." Thank us later. Have you always wanted to be an Avenger, but haven't grown into your superpowers yet? Become the hero you're destined to be by wirelessly charging your phone. Sure, you won't be able to fly or have X-Ray vision, but charging your Qi-enabled phone without cables is pretty much as good. Becuase let's be honest, what are you going to do with X-Ray vision? Run a really efficient medical clinic? Forget about that. 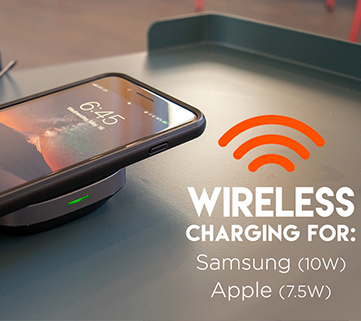 Wireless charging is the sure-fire way to feel like you have powers, while also charging your phone efficiently. ...I think you get it. If your phone is Qi-compatible, this will work. 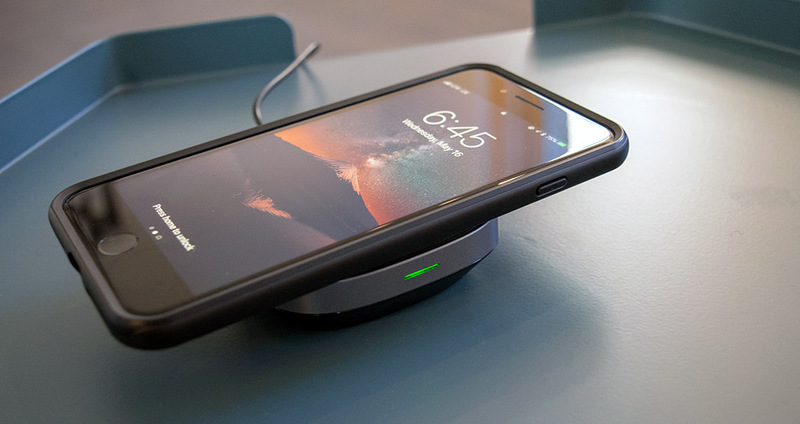 Some wireless chargers are slippery which means your phone can slide around and not charge reliably. Ours has a rubber ring that'll keep your phone in place, and it won't wear out like those sticky-hands from the 90s. If you combine a Qualcomm Quick Charge 3.0 wall adapter with this wireless charger you'll get a faster charge. It can scale up to 10W of power for Samsung devices, and 7.5W for iPhones. While wireless charging won't be as fast as using a cable, this is as good as it gets. We tested this wireless charging pad to work with phone cases, but if you have a really thick one it might not work. Click the button below to add the Qi Wireless Phone Charger For Samsung, iPhone & More to your wish list.